PlayerUnknown’s Battlegrounds has broken a Steam record no other game could. Battlegrounds has surpassed Dota 2’s peak concurrent players. The game was already ahead of Valve’s own juggernaut, but it wasn’t close enough to beat its all-time high of 1,291,328 players. Then, over the weekend, PUBG had 1,348,374 players all going for chicken dinners at the same time worldwide, breaking Dota 2’s long-standing record. In fact, the numbers were a bit lower than this at the start of the weekend, and only grew further by the end of it. Battlegrounds was released at the end of March. Despite selling very well – over 10 million by the latest count – no one expected the game to dethrone Steam’s top three, for the simple reason that no other game has. Over time, PUBG continued to gain ground, eventually rocketing past other chart-toppers like Counter-Strike: Global Offensive, Team Fortress 2, King of the Kill, and of course, Dota 2. With every new gain, many said it would be its last, and the game continued to prove them wrong. What’s even more worthy of praise here is that throughout those six months, the game never lost any players – something that inevitably happens to all games after the initial rush. 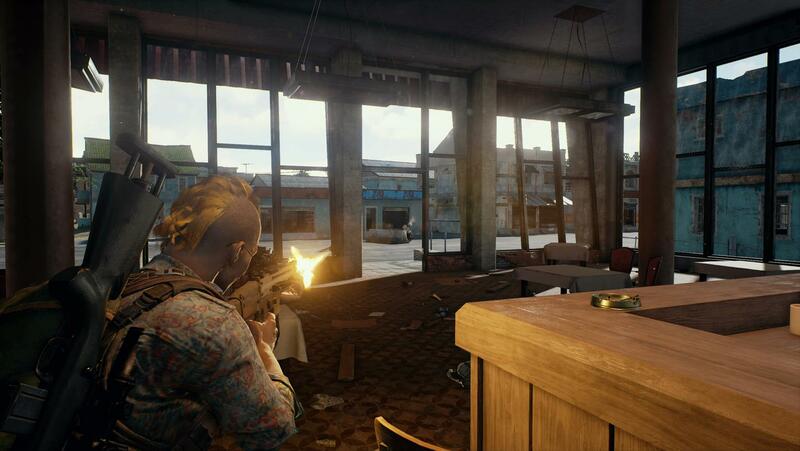 Last week, Battlegrounds received its first big update in a while. The September patch was worth the wait, adding a new weapon, a new town to the map, and a host of gameplay changes.